Last month, one of the largest coal companies in the United States filed for bankruptcy, citing an “unprecedented period of distress” in the industry. The demise of Alpha Natural Resources wasn’t exactly a surprise. Twenty-six other coal companies folded in the previous three years, and in the six months before the bankruptcy announcement, Alpha’s own stock fell by 36 percent. By August, a share in Peabody, the nation’s largest producer, was worth just 99 cents. 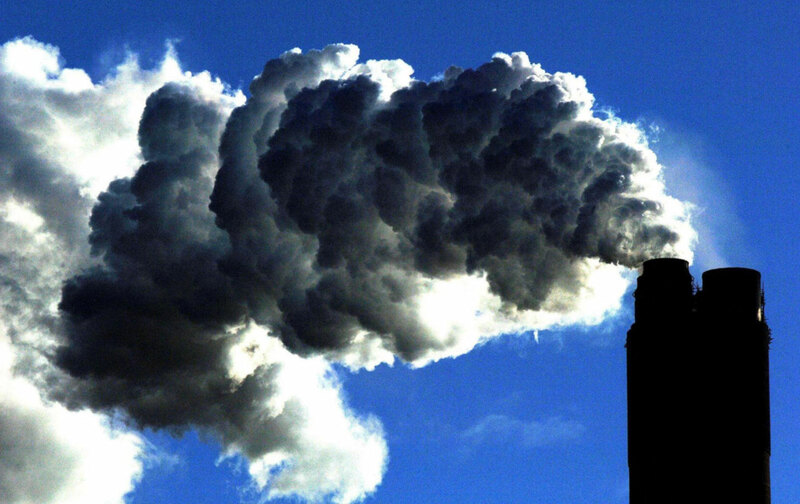 Up against a market flooded with cheap natural gas, depleted reserves, and the prospect of new limits on greenhouse gas emissions from power plants, coal is doomed. Top execs at the largest fossil fuel companies made twice as much in 5 years as the US has pledged to the Green Climate Fund. Tough times in coal country haven’t been so tough back at corporate headquarters, however. A new report from the Institute for Policy Studies reveals that top executives are making off with huge compensation packages, in many cases plundering their companies just before they collapse. Former Alpha CEO James Roberts took in more than $15 million in 2008 and 2009 before he retired. 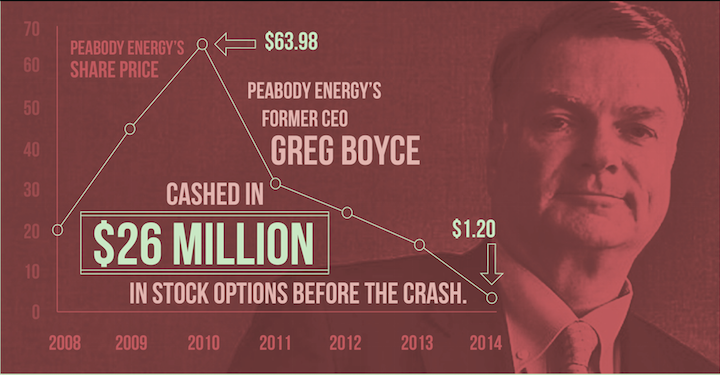 Peabody’s former chief executive, Greg Boyce, pocketed $26 million in stock options during the four years before the industry tanked, and last year had a total compensation package of $11 million. 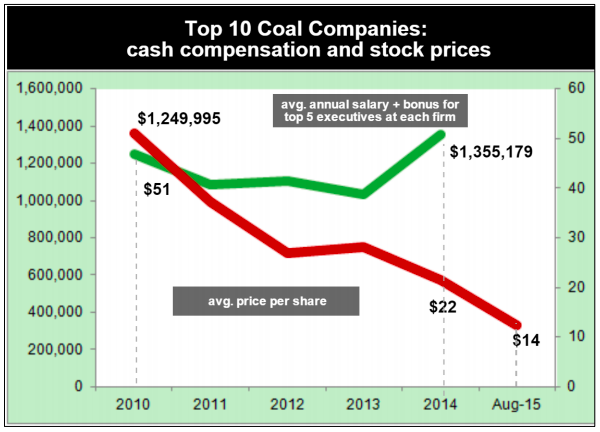 Before the collapse in share prices, many executives profited like Boyce from equity-based pay; now, coal companies are increasing salaries and cash bonuses to make up for poor stock performance. 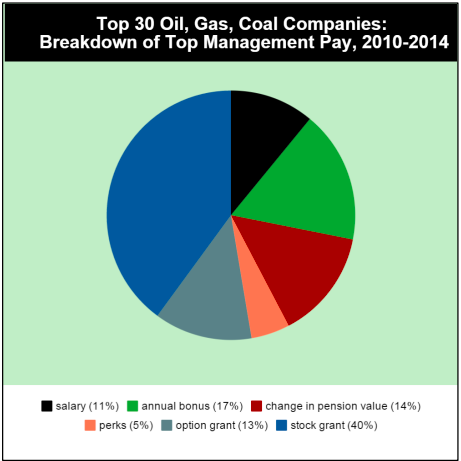 Arch Coal, the nation’s second-largest producer, increased cash compensation for its top five executives by 94 percent last year. All told, top executives at the 30 largest fossi-fuel companies in the United States made nearly $6 billion in the last five years. That’s twice as much as America has pledged to the Green Climate Fund, an international financial institution intended to help poor countries respond to climate change. They’re also making more than their peers in other industries. Rex Tillerson, the CEO of ExxonMobil, and ConocoPhillips’s Ryan Lance each made more than twice the average for chief executives at S&P 500 companies. Much of the compensation comes in the form of stock options that encourage an emphasis on short-term growth rather than long term sustainability. And while many executives get bonuses for expanding reserves or speeding up projects, none of the firms offer incentives for reducing emissions. In other words, the pay structure is yet another factor discouraging climate action. The report proposes principles for reforms, some of which are already moving forward, like a requirement that firms publish the ratio of their chief executives’ pay to that of their employees. Anderson said she’d like to see the Dodd-Frank rule prohibiting pay packages that encourage excessive risk-taking applied beyond the financial industry. She faulted coal executives for failing to diversify their companies despite clear signs that their industry was headed for collapse. Though some foreign oil companies have openly started talking about a carbon tax, few of the giants in the United States are doing anything to make sure they’re not caught in a carbon bubble. In May, ExxonMobil’s Tillerson mocked shareholders who suggested the company invest in renewable energy. “We choose not to lose money on purpose,” Tillerson said. The depressing thing, considering the example of the coal industry, is that Tillerson himself probably won’t lose much money even if Exxon does one day find itself in a post–oil dependency world.